When will real healing start in America? It starts with each one of us! Here is the message I received from them. There are no quick fixes to invoke. Time to process the complexity of the moment. We recognize the paradox of needing time and feeling urgency. Our wish for us all is both voice and agency. For today, we just want you to know we’re thinking of you. They included this quote from Parker Palmer and the Escher drawing. We now have to live with the paradox that a person was elected to be President of the United States who is not supported by 50% of the 120 million voters. In addition, this 50% (which includes me) believe that Donald Trump is not the role model we want to represent our country. We can turn to peacefully protesting his election to the highest office in the United States, which we have the right to do. We can turn to violent protesting because we believe the system unjustly elected a man who is not qualified and our anger cannot be channeled any other way. Finally, we can turn inward and search for ways that we can involve ourselves in the political process so our voices are heard. In America, there are many ways to get involved in politics at a local, state, or national level. I am going to invest my time in the third option because I believe that is where my voice can have the greatest impact. When all is said and done, the American people (50% of us) elected Donald Trump to office, despite the fact that Hillary Clinton received about 0.3% more popular vote…but not over 50%. We have a responsibility to “hear the truth of others,” the 50% who invested their hope in Donald Trump and not Hillary Clinton. Why? 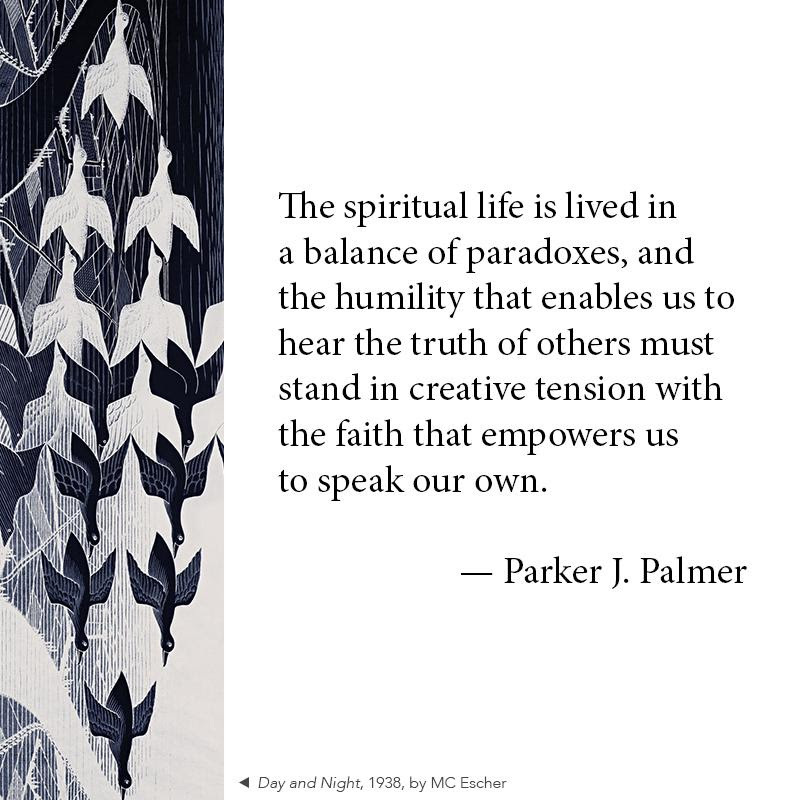 Read another Center for Teaching post, Five Habits of the Heart: The Work of Parker Palmer. This piece illustrates Parker Palmer’s call for a new and different investment to make democracy in America work again.